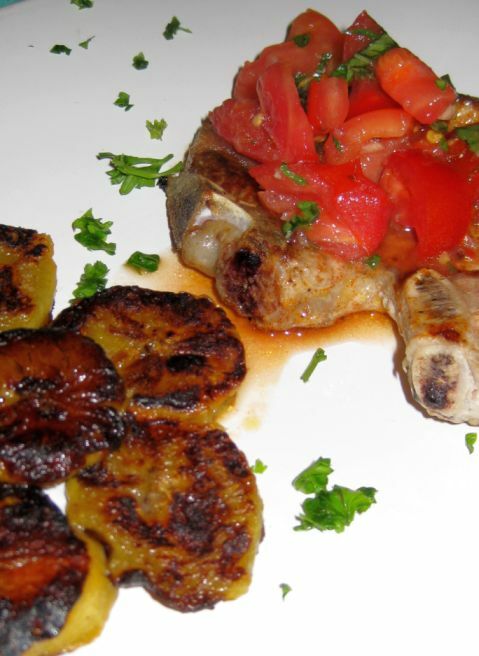 This is a really quick dish you can put together in less than 30 minutes. 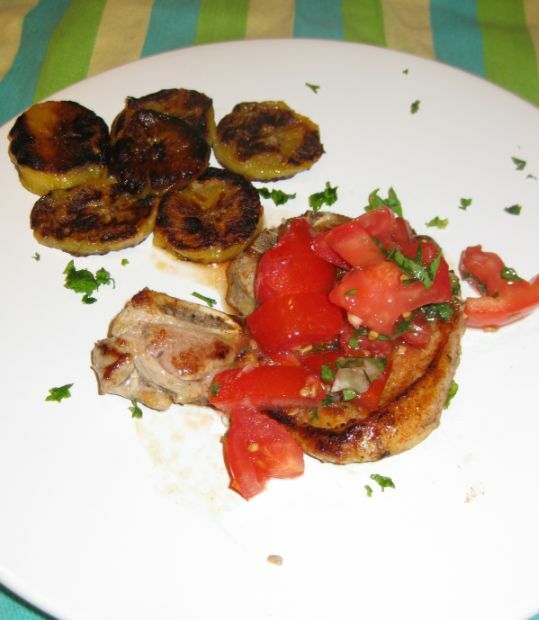 The tomato and basil sauce is really fast and simple to put together with a no-cooking preparation but make sure to buy ripe and juicy tomatoes than are in season to get maximum flavor. 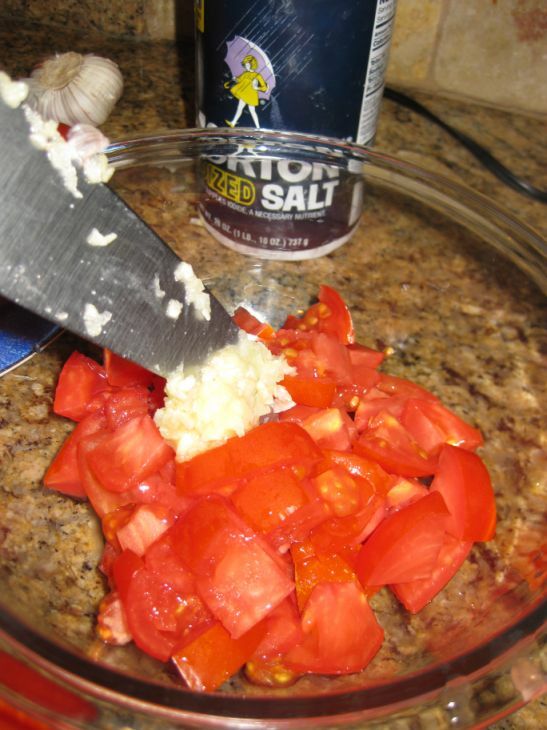 The tomato sauce actually develops in the hour or two when it marinates and the salt draws the juices from the tomatoes and they become infused with the flavors of basil and garlic. 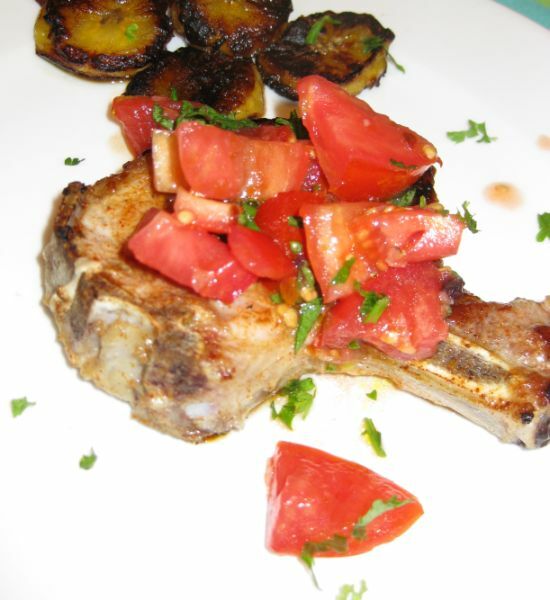 The pork chops are pan seared and cook under 10 minutes. 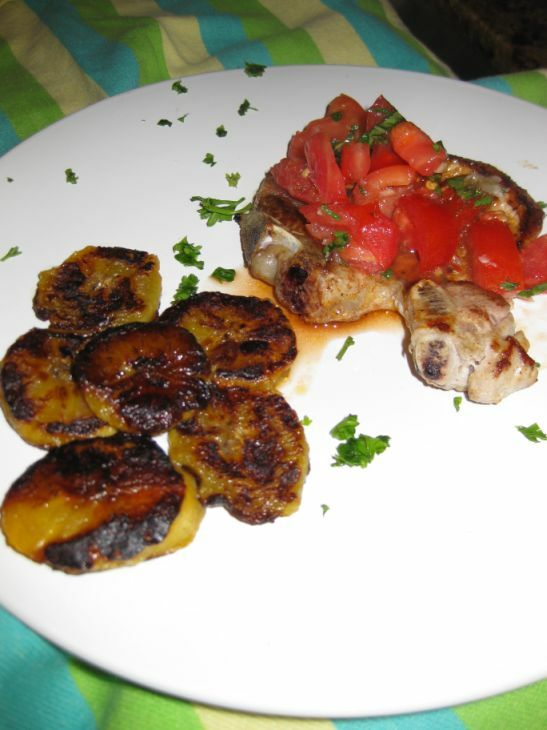 The plantain adds a bit of sweetness to the dish but you can definitely skip it if plantain are not available. 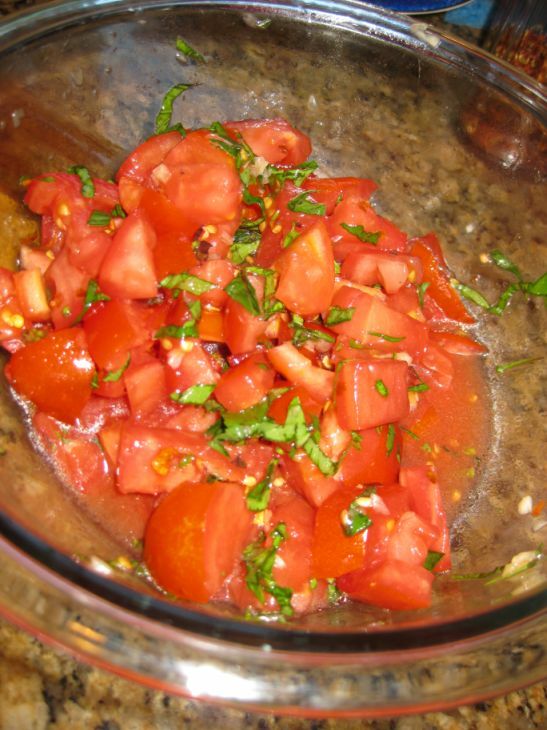 The tomatoes are bright and very flavorful and add a touch of freshness to a summer dish. 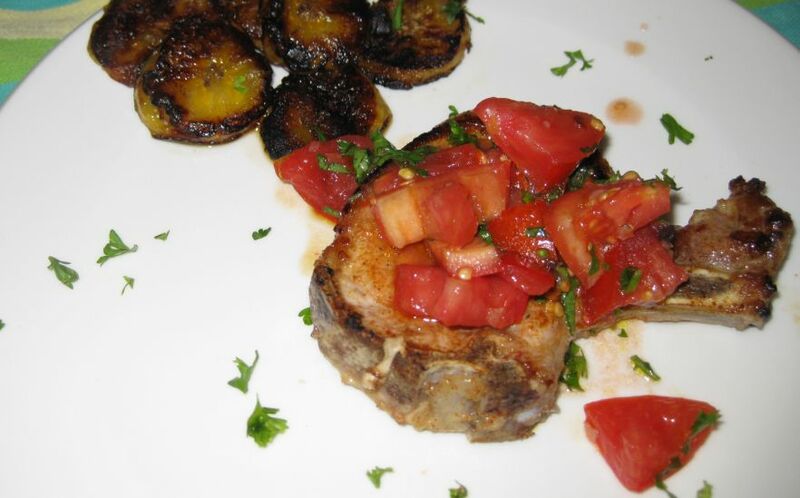 Close up look at the dish. 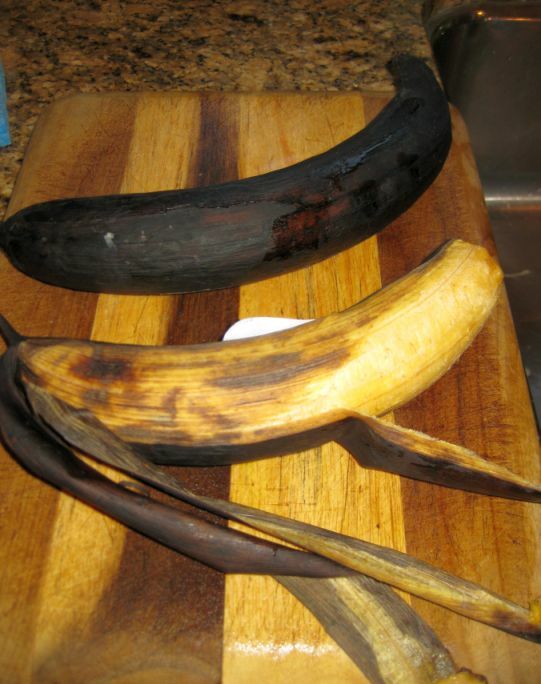 Your plantains are ready to be used when the outside peel turned black. 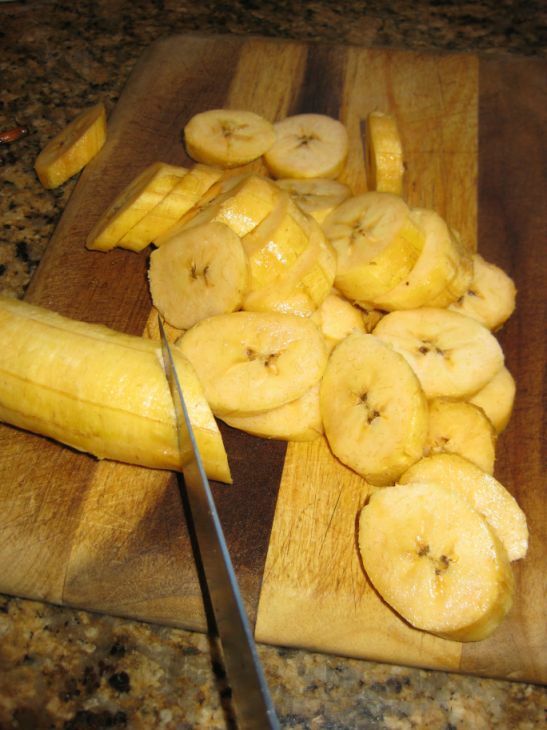 Cut them into slices and put aside. 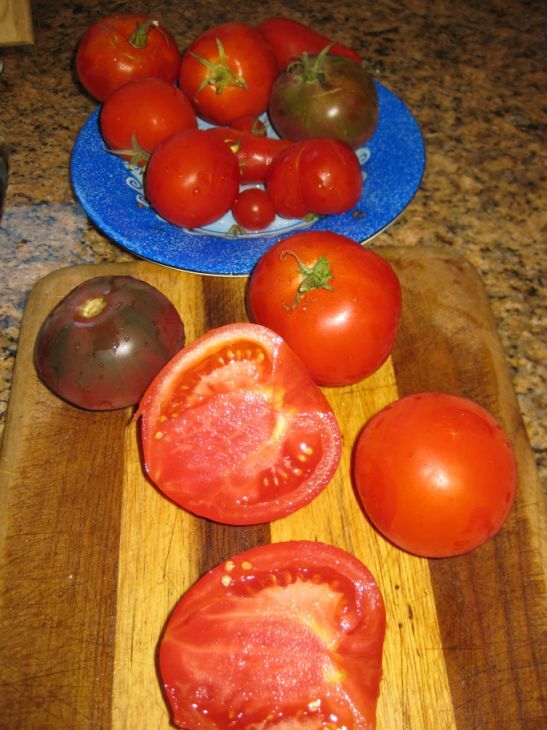 These tomatoes are homegrown and they are ripe, juicy, flavorful, and sweet. 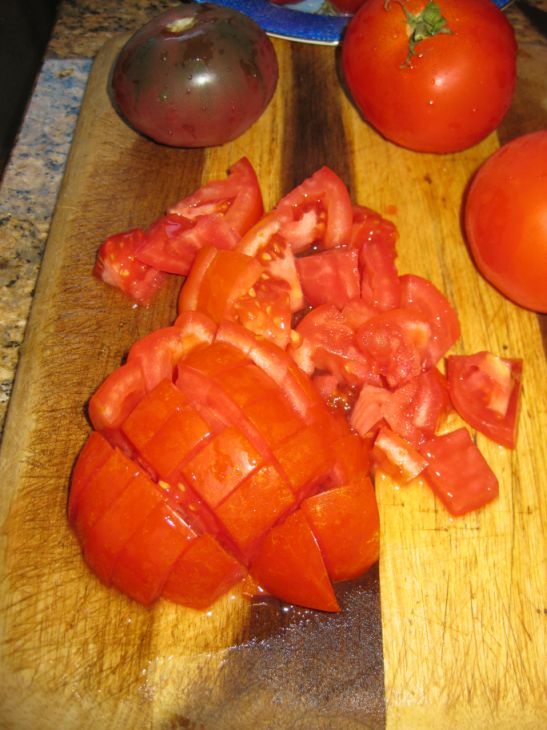 Cut the tomatoes into small cubes and put them into a bow. 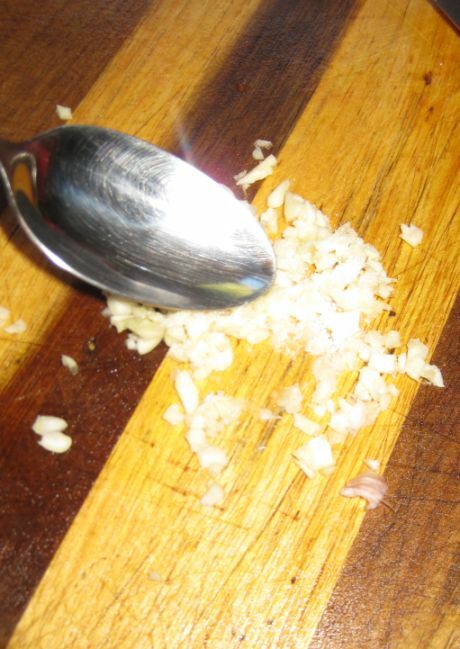 chopped the garlic and smashed them with a spoon to form a paste. 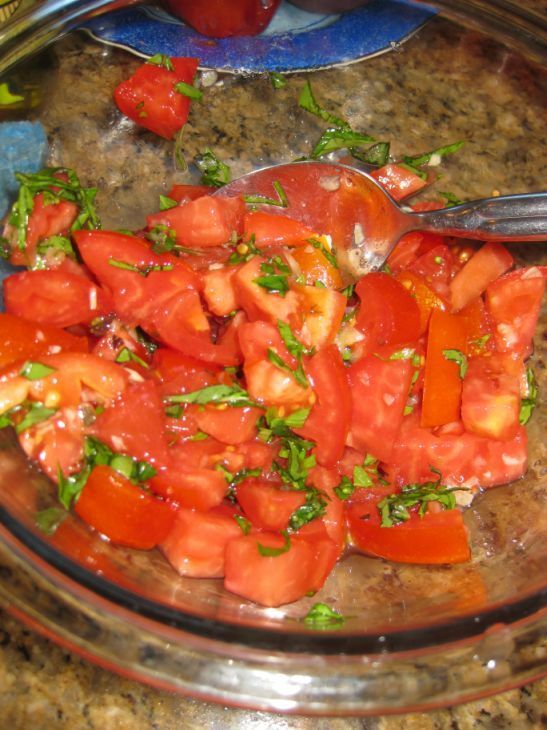 Add the chopped basil leaves, red pepper flakes, and pour some olive oil over the tomatoes to coast and distribute the seasonning. Cover the bowl with a plastic wrap and let it marinate at room temperature for at least 30 minutes or up to 2 hours. 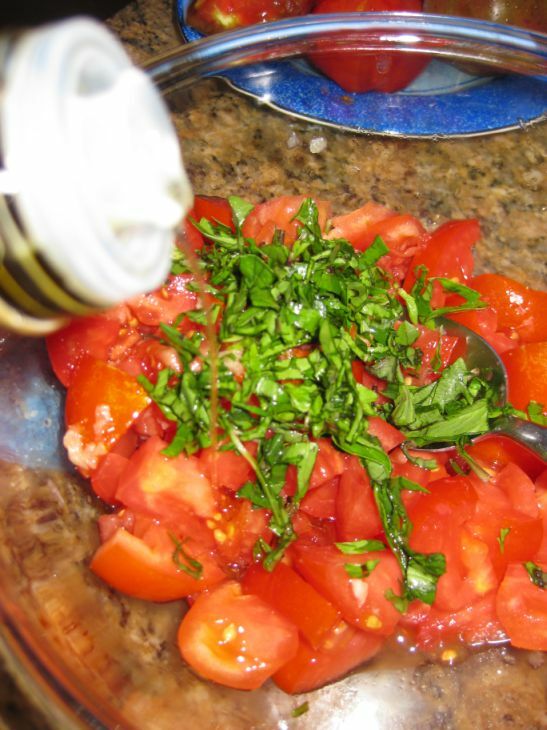 After 30 minutes you will see the juices from the tomatoes and they will become infused with the flavors of basil and garlic. 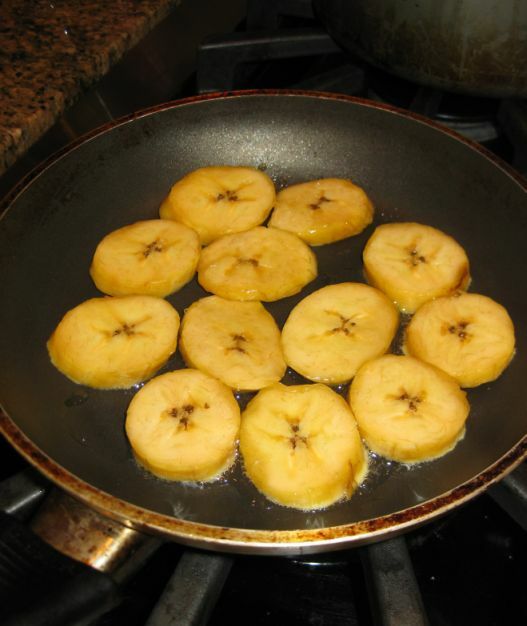 Heat a pan with a bit of oil and spread out your plantains. Let it caramelized for a 1 minute or two. 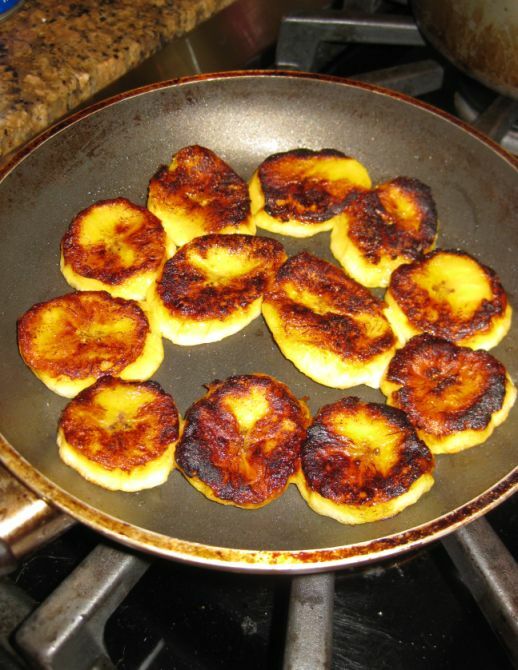 Turn the plantains over and finish caramelizing them. 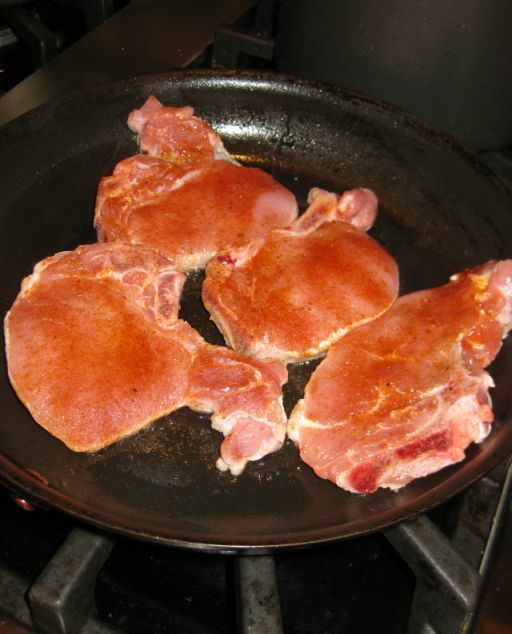 In a hot oiled pan add the seasoned pork chops. Once they turned color lower the heat to medium and continue cooking for a few minutes. 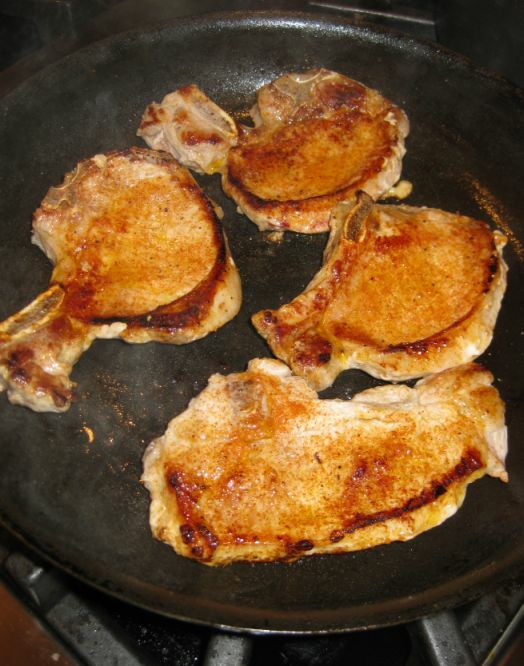 Flip the pork chops and continue to cook them for another 2 to 3 minutes on medium heat. 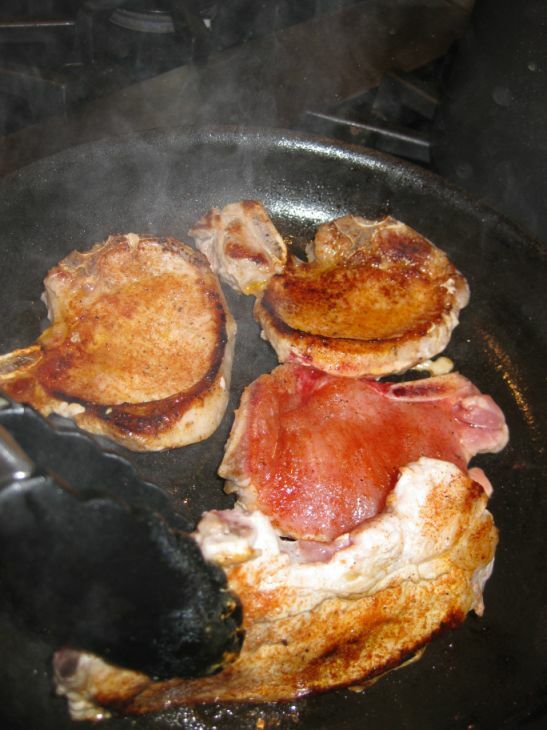 Once the meat are ready you can start putting the dish together.